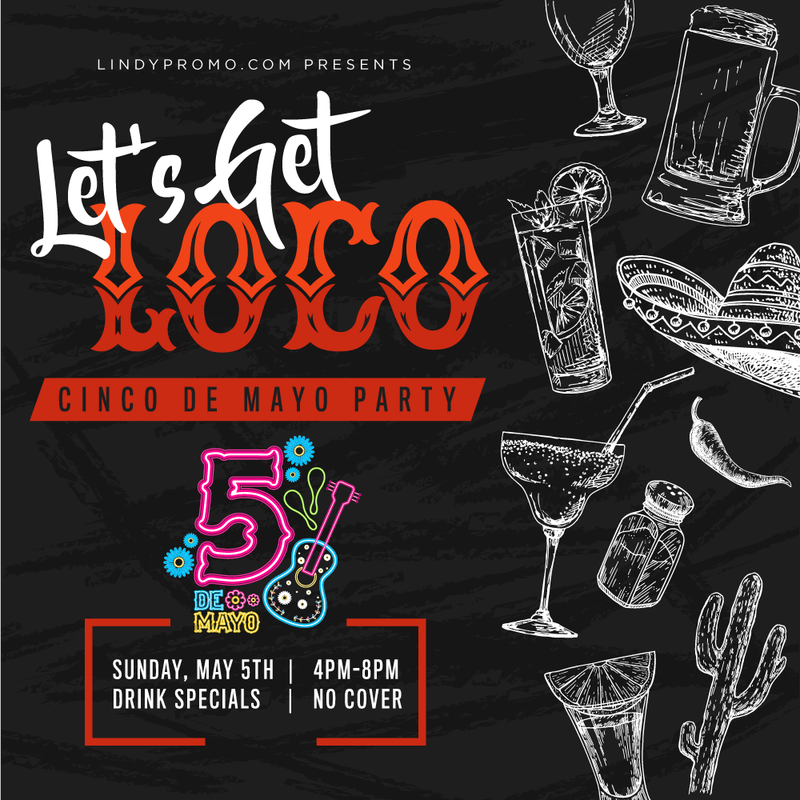 The start of spring in Washington D.C. means another one of our favorite holidays is back – Cinco de Mayo – so help us go all-out to celebrate at the Let’s Get Loco Party! From 4-8pm on May 5th you’ll be indulging in drink specials and dancing to killer playlists at the fiesta of the year. Secure your tickets now and help us honor Mexico at the Let’s Get Loco Party! LindyPromo.com | Terms & conditions ©2018 All rights reserved.